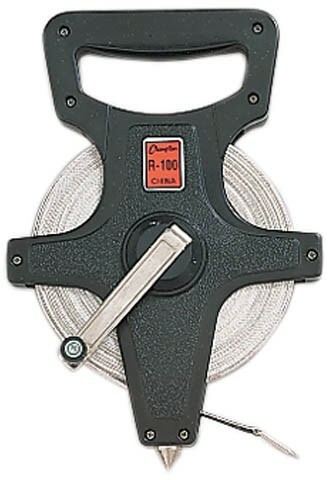 The open reel 100'/30M measuring tape has a durable fiberglass construction and is available in many sizes. 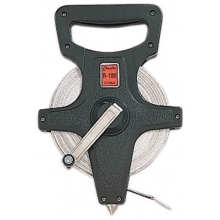 Features an open reel design and a hand crank, which helps you easily wind the tape back into the roll. The bottom features a metal spike for added stability.